Councillor Matthew Lee and Steve Bowyer launch South Kesteven's new town centre investment fund. InvestSK the economic growth and regeneration company, has launched a new programme to support growing businesses and bring fresh life into local town centres, with funding from South Kesteven District Council. 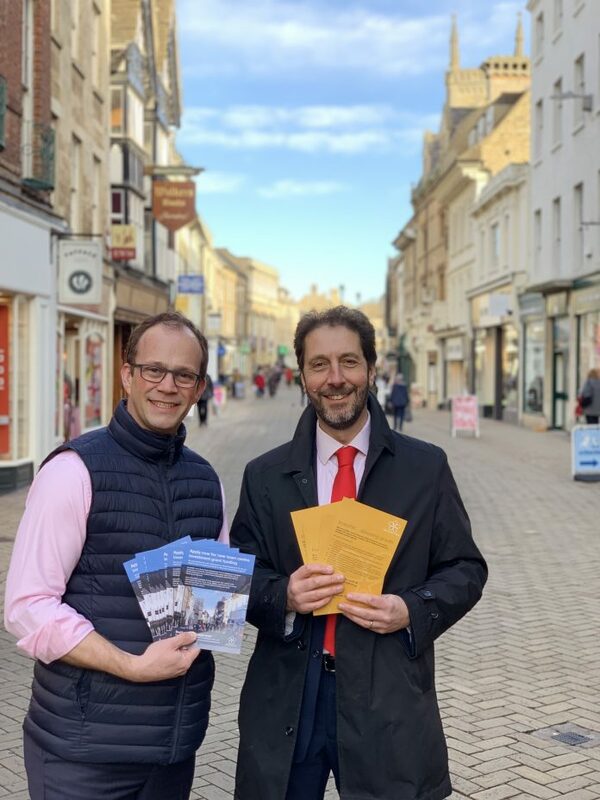 The Town Centre Investment Fund is designed to facilitate growth on South Kesteven’s ‘high streets’ by supporting companies looking to grow their businesses into vacant town centre units within any of the District’s four market towns; Grantham, Stamford, Market Deeping and Bourne. Up to £10,000 is available to help applicants with the capital costs associated with their move. To be eligible, businesses must create new jobs locally and have an offer that adds value to South Kesteven’s town centres. Chief Executive of InvestSK, Steve Bowyer, said: “InvestSK was established to help businesses grow, and support local job creation. Because of the work that InvestSK has been doing, in particular our Head of Business Growth and Inward Investment, Jon Hinde, we understand that to maximise their business prospects, companies need the right facilities in the right place. Councillor Matthew Lee, the Leader of South Kesteven District Council, said: “Although South Kesteven is performing relatively well in terms of its retail presence on the high street, we are fully aware of the challenges that businesses are facing. Often that is a result of internal business issues rather than any weakness in the town itself, as we saw with the recent announcement of Tinc’s store closure – but whatever the reason, we want to make sure we give our businesses every chance to grow and succeed. The deadline for submissions for InvestSK’s 2018/19 Town Centre Investment Fund is 15th March 2019.